Mews: a group of stables, typically with rooms above, built around a yard or along an alley. 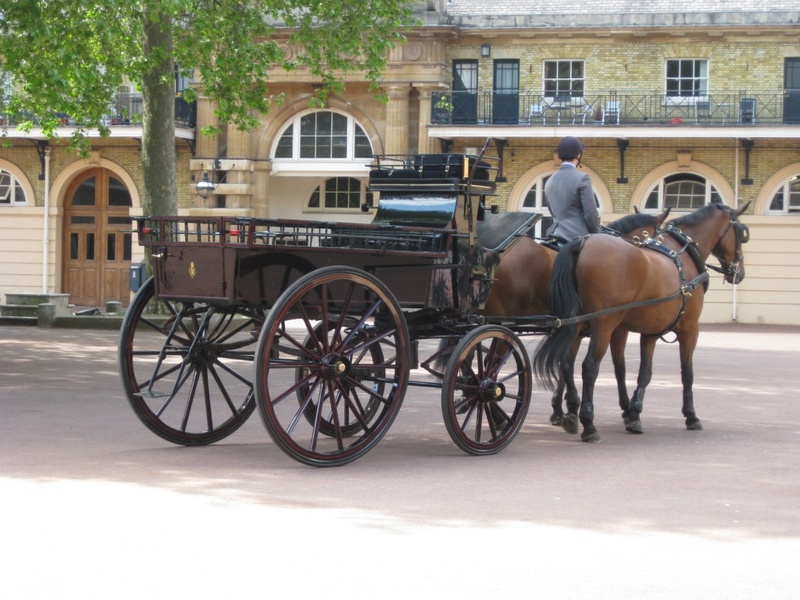 Originally referring to the royal stables on the site of the hawk mews at Charing Cross, London, the Royal Mews has been located at Buckingham Palace since 1820. 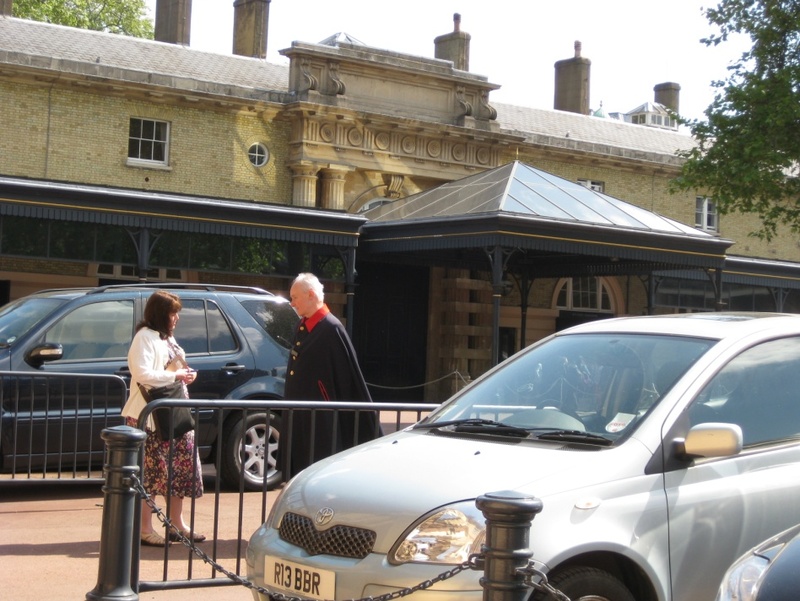 I must confess that having visited England many times, it was not until my eighth trip in 2013 that it actually occurred to me to visit the Royal Mews…and I was only spurred on to do so because I wanted to have a large piece of A VIRTUOUS DEATH occur there. It was one of the few times that I have actually visited a location before writing about it. This gentleman became very suspicious of me when I started asking detailed questions about the living quarters above the stables. I had to convince him that I really was a novelist doing book research. However, I still didn’t get much from him. He’s a good employee of the queen’s! The main entrance/exit of the Mews. 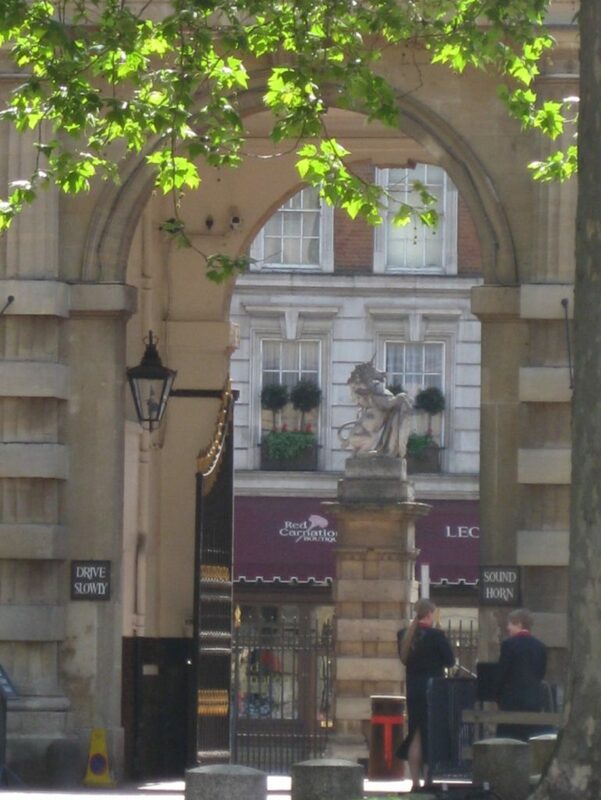 It sits directly across from a Red Carnation hotel. 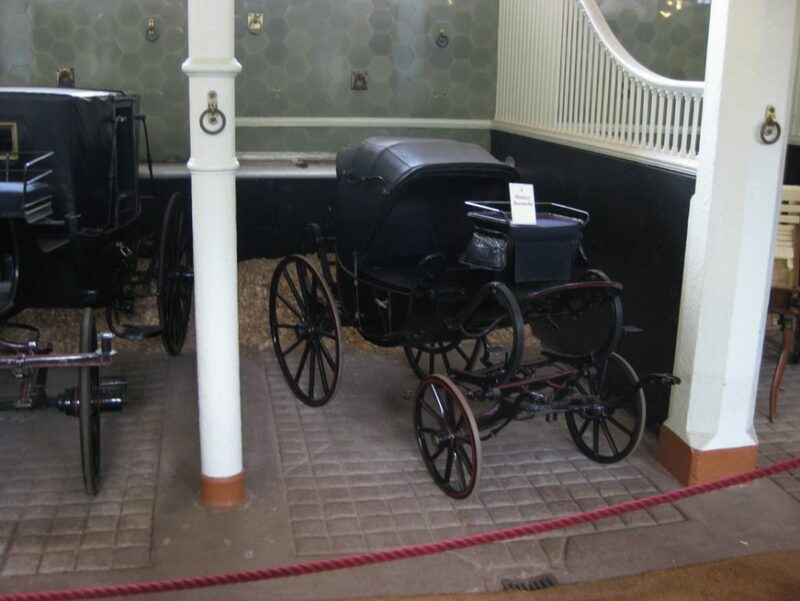 The Mews has a collection of children’s carriages. 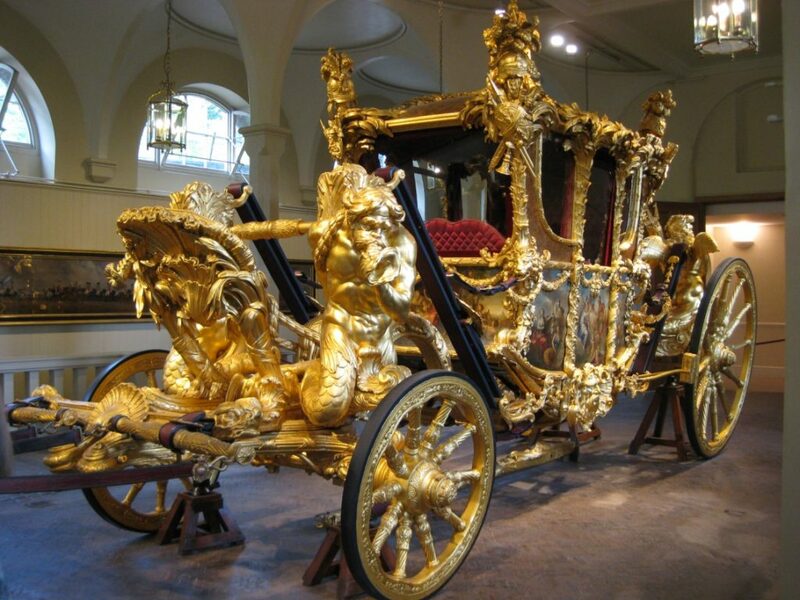 Wow, the Gold State Coach, used for coronations. Queen Victoria hated this thing, considering it to be vastly uncomfortable. The horses are walked/trained every day. 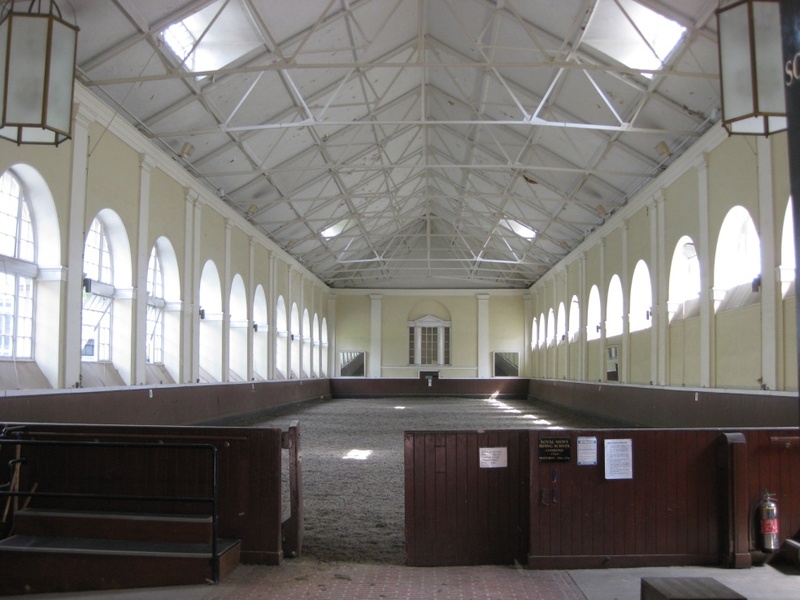 Younger horses are exercised here in the Riding School, where they are exposed to sudden noises in preparation for hitting the London streets.